Rackman Center booklet promotes UN document that includes libel about Jews who sexually harass Arabs in Judea and Samaria. A brochure published by Bar Ilan University, Israel's only religious university, contains the outrageous claim that Jewish residents of Judea and Samaria and IDF soldiers sexually harass Arab women. The claim is not contested in the brochure. The brochure was prepared by Bar Ilan's Ruth and Emanuel Rackman Center for the Advancement of Women, and its cover displays the logos of Bar Ilan University and the Jacob Blaustein Institute for the Advancement of Human Rights, which is affiliated with the American Jewish Committee (AJC). Titled "A Guide to the Convention on the Elimination of all Forms of Discrimination Against Women," it was authored by Rackman Center head Prof. Ruth Halperin-Kaddari and Adv. Tamar Megiddo. The booklet contains a Hebrew translation of the text of the UN's Convention on the Elimination of all Forms of Discrimination Against Women (CEDAW), as well as explanations regarding the convention. It also contains sections that hold CEDAW's remarks on Israel, dated 2005 and 2011. Besides heading the Rackman Center, Prof. Halperin-Kaddari is Vice President of the UN's committee on the implementation of CEDAW. "While it notes the complexity of governmental administration in the area, the committee notes with deep concern that Palestinian women and girls continue to suffer from violent attacks, both by state elements (Israeli soldiers) and by non-state elements (settlers, among others), as well as all other forms of violence within their communities, including the violation of their right to life, physical, mental and verbal abuse, and sexual harassment. In addition, the committee notes with great concern that only rarely are such incidents accompanied by documentation, legal charges or punishment… Moreover, the committee notes with concern that the limitations on movement in the occupied territories, as well as routine harassment of children and teachers by settlers on their way to school and from it, have adversely affected the access of women and girls to education and health." To take immediate action to stop the harming and violation of rights of women and girls in the occupied Palestinian territories, and to protect them from actions like these, including at the checkpoints. To give these women effective access to legal recourse and to ensure that such cases are immediately investigated in full and that those responsible be brought to justice, be they state or non-state elements. To guarantee proper compensation, and, in the appropriate circumstances, aid to victims who survived." Despite the fact that there has never been a single known incident of sexual harassment of Arab women by soldiers or Jewish residents since the liberation of Judea and Samaria in 1967, at no point does the brochure make any reference to the outlandish claims by CEDAW, or attempt to deny them. On the contrary, Prof Halperin-Kaddari notes in the introduction to the brochure that she is "proud to present the new publication" and explains that, "As a member of the Committee in charge of implementing the convention since 2007, and its Vice President for the last two years, I am convinced of the importance of raising political and public awareness towards the international obligation to advance women and gender equality undertaken by members when joining the Convention, and I am aware of many initiatives to that respect taken by States Parties to the Convention. "At the core of these, of course, is publishing the Convention in the local language along with some basic explanations. In fact, this is one of the first obligations undertaken by States Parties. Sadly, this obligation was not met in Israel until now, and we, at the Rackman Center, have therefore decided to publish this guide ourselves. "Our aim is to bring the significant international obligations undertaken by the State of Israel to advance women and gender equality to the attention of relevant policy and decision makers, women’s rights and human rights organizations, and all who promote this goal. We hope by this to make the CEDAW a prominent, effective tool in the ongoing effort to achieve gender equality in Israel." The brochure is available for download, with an English language introduction, at the Rackman Center's website, where it has been featured prominently. We asked Bar Ilan University to explain why it published uncontested libelous accusations against Jewish residents of Judea and Samaria, and the soldiers who serve there. We also asked whether Prof. Halperin-Kaddari attempted to protest against the inclusion of the accusations in the CEDAW remarks. Bar Ilan University's spokesman, Haim Zisowitz, spoke to Prof Halperin-Kaddari and said that her position as Vice President of the UN's CEDAW implementation committee did not allow her to protest the contents of the convention. "This is an official document of the UN committee that was handed over to the official Israel delegation in January of 2011, after the country reported to the convention. In no way is this a publication by the Rackman Center, but only a Hebrew translation of the UN document. "In order to remove all doubts, publication of the document on the site does not connote any agreement with its contents and we strongly reject some of the conclusions." The document is an official UN committee document, which was translated into Hebrew by the Rackman Center. These are the committee's recommendations to the state of Israel, and they appear in the Justice Ministry's official website in the same wording, including the problematic parts. This is the link. Certainly, no one would think of claiming that the publication on the Justice Ministry's website is an admission by the State of Israel that the claims are right. It is therefore demagogic and fraudulent to make this accusation regarding the Rackman Center! 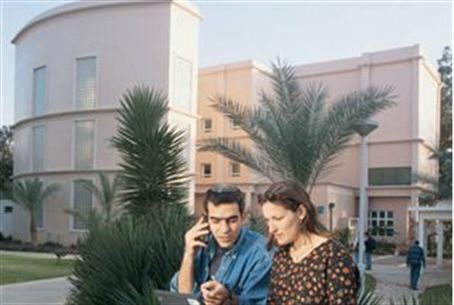 The Rackman Center carries out the academic role it is meant to perform, by making the UN's work accessible to Israeli society, even if it contains statements against Israel and even if they are biased, precisely so that the relevant authorities and civil society organizations will act to take care of the matters raised by the UN. This is also the source of Prof. Halperin-Kaddari's pride, because without accessible information, there will be no real action regarding the report's recommendations. It should be noted, also, that the Hebrew-language guide published by the Rackman Center was launched in a formal event at the Knesset, with the participation of representatives of relevant government ministries, and many MKs. It is obvious that the Rackman Center disagrees with those paragraphs in the committee's recommendations. Only one who is seeking to libel can interpret these matters as an expression of support by the Center of the UN committee's accusations toward the soldiers and settlers. The Center's response did not include any mention of Prof. Halperin-Kaddari's own position in CEDAW. Arutz Sheva 's attempts to receive a reaction from the Jacob Blaustein Institute for the Advancement of Human Rights were unsuccessful.